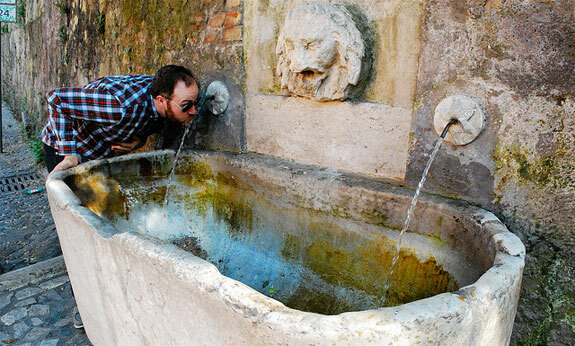 Can you remember the last time you saw a drinking fountain, never mind actually drank from one? Around the world, heading to the shops to buy bottled water has become far more common than looking for a tap to take a drink from. It’s not exactly surprising since the interest in drinking water even in first world countries has taken a dive. The good news is, one woman in the USA has taken on the mission of restoring water fountains to their former glory. Evelyn Wendel, of southern California, is the founding director of the non-profit organisation We Tap. The company has created an interactive mobile app that allows users to find their nearest water fountain in order to take a thirst-quenching drink. The main point of developing this app, according to Wendel, is to improve awareness, access to and use of public drinking fountains, and at the same time, reduce dependence on store-bought, single-use plastic bottles. This crusade started when Wendel took her young children to their local park and discovered that most of the fountains were broken or unusable. She also saw the incredible waste at her children’s school. The parents were sending their children to school with bottled water rather than teaching them to drink from taps. Wendel knows full well that she’ll never rid the world of bottled water, but she does hope to educate more people about safe tap water. One of her biggest victories lately was when she got a filling station installed at a local high school. The students now bring reusable bottles to school and fill them up with water there. A map of all water fountains in the area – To begin with, the app will only focus on southern California. The developers are currently building a comprehensive map of all the available fountains in the district. Users will also be able to add spots of their own if they aren’t on the app already. Rating the fountains – In order to encourage people to actually use the water fountains, there is a rating system on the app. It tells you all about the quality of water flow and whether or not there is a canine connection and a tap to refill bottles. Wendel’s main goal with Wetap.org is “to spread the word that tap water is safe and cheap, and ensure it’s available”.